On Nov. 8., American voters chose Republican candidate Donald Trump as the 45th President of the United States. Students at the University of Maine began lining up at the New Balance Field House at 7 a.m. to vote for president, U.S. representative for Maine’s 2nd congressional district, state senator, state representative, county register of probate and six referenda questions. In addition to the oval office, Republicans were elected in majority to the U.S. Senate and House. President-elect Trump was declared the winner with 279 electoral votes early Wednesday morning, but will likely finish with an Electoral College victory of 306-232, once Michigan and New Hampshire are officially called. Maine voted 48 percent for Clinton and 45 percent for Trump. However, Trump won Maine’s 2nd district, giving him one additional electoral vote from the state. This was the first time in Maine’s history that its Electoral College votes split and the first time a Republican earned an electoral vote from Maine since 1988. Incumbent Representative Bruce Poliquin was re-elected with 55 percent of the vote, beating out challenger Emily Cain to retain his seat in the House. Maine voters also decided on six referenda questions, which all but one of which passed. The initiatives accepted by Maine voters includes legalizing marijuana (Question 1), adding a three percent surtax on incomes earned over $200,000 to fund K-12 public education (Question 2), raising the minimum wage (Question 4), establishing ranked choice voting (Question 5) and allowing the issue of $100 million in transportation bonds (Question 6). Question 3, which proposed required background checks for firearm purchases, did not pass. Ryan Tipping-Spitz, incumbent representative of District 123 and Maine Medicare expansion petition volunteer, was on scene at the Orono voting station on Tuesday. “I think we have a lot of different issues on the ballot, from the five ballot questions to president, all the way down to state house. 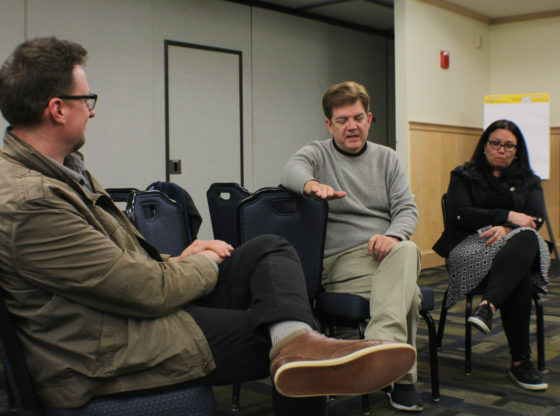 I’m excited to see a great amount of people come out and vote,” Tipping-Spitz said. Tipping-Spitz was enthusiastic about the Question 4 proposal to raise the minimum wage to $12 by 2020. He also supported Question 2, which proposed a three percent surtax on incomes earned over $200,000 to fund public education in Maine. Tipping-Spitz stated that Question 2’s goal is to reach the state obligation of funding 55 percent of public education, which it has never reached. Many students shared their reasoning for voting against Trump, including his inexperience in government, questionable morals and choice of rhetoric. Those voting against Clinton cited her email scandals, controversy over the profit margin of the Clinton Foundation and general distrust. Although praises for candidates were far less common; not all of the dialogue at the voting station was negative in nature. Praises for Clinton included her experience, level-headed attitude and concern for gender and LBGTQ rights. Third-year student Kali Pelletier expressed her gratitude with Clinton’s progressive stance on gender equality and sexuality sensitivity. “She [Clinton] has pledged to end conversion therapy, which causes the suicides of a bunch of queer people, which I am a queer person. Mike Pence funds it [conversion therapy]…so this is a life or death election for me and people like me,” Pelletier said. Forrest Bailey chose Trump based on his belief that the Republican is more trustworthy and noted the appeal of Trump’s willingness to speak freely. “I like how he speaks his mind how he’s truthful. I agree with a fair amount of what he says even though he can be kind of brash at times and I know he’s not the favorable choice,” Bailey said. 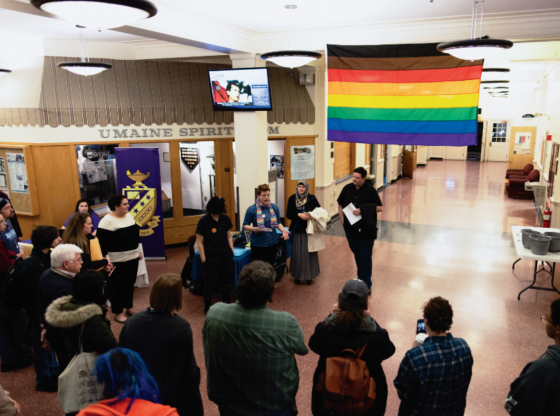 On Nov. 7, in an unofficial questionnaire, one out of five UMaine students who planned on voting could list all of the ballot questions they would vote on the next day. Question 1 (the proposal to legalize marijuana) and Question 3 (increased background checks for firearm purchases) were hot button topics among students on voting day. Several students and Orono citizens expressed their support to legalize marijuana, calling prohibition an “old law.” After all the votes were counted, Question 1 passed by less than 3,000 votes. © Copyright 2017-2019. Maine Campus. All Rights Reserved.